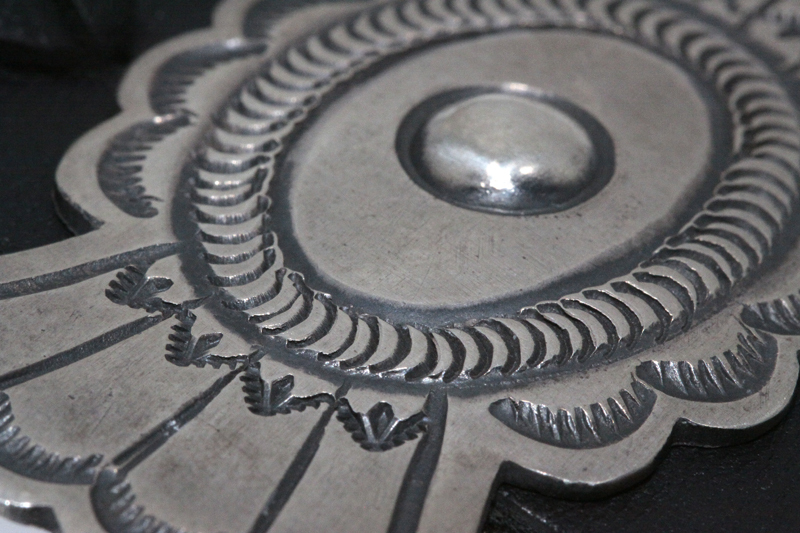 Handmade sterling silver concha belt. 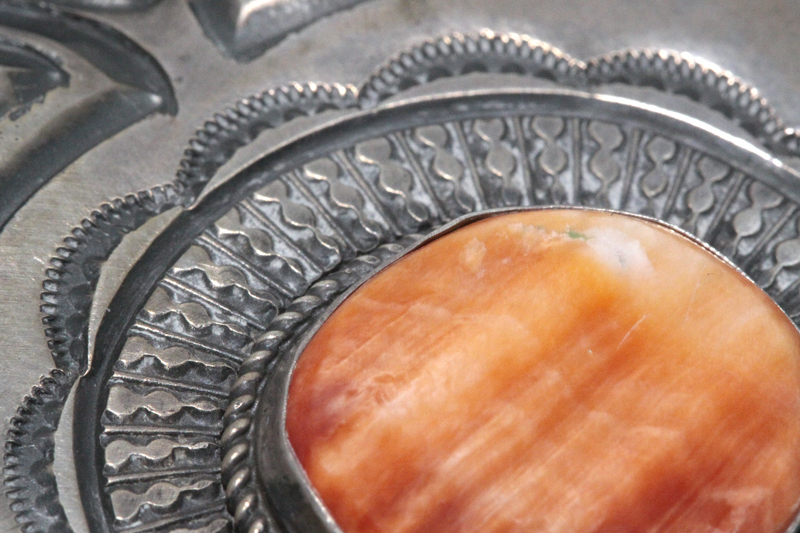 Repousse’ design buckle with Orange spiny oyster shell. Leather belt slides through copper soldered strips on the reverse. 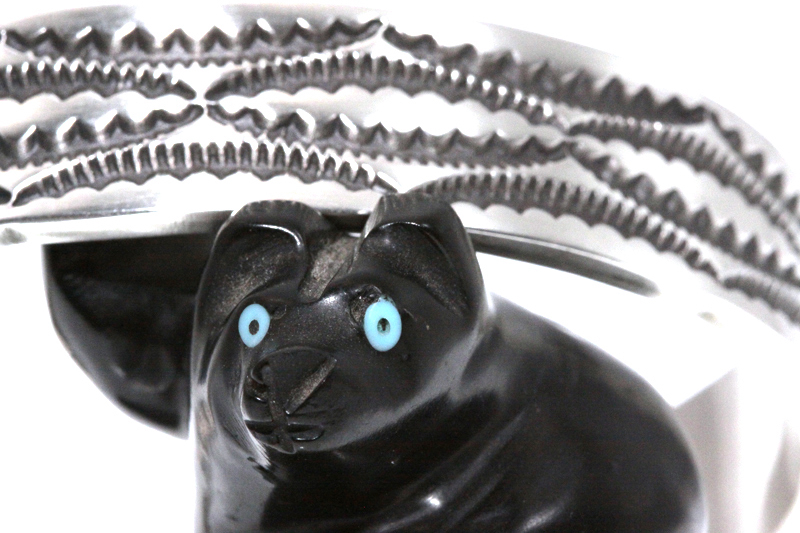 © 2018 Powwow Jewellery. All Rights Reserved.